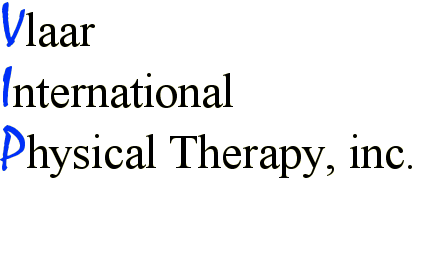 Vlaar International Physical Therapy, inc.
We start seeing clients at 8.30 and our last available appointment is at 5.30, Monday through Friday. We are a Medicare participating provider but not all our services are covered by Medicare. Treatment duration starts at one hour, but 90 minutes and 2 hour sessions are available. I recommend that you allow us to evaluate you and to have us use the modalities best suited to treat you.